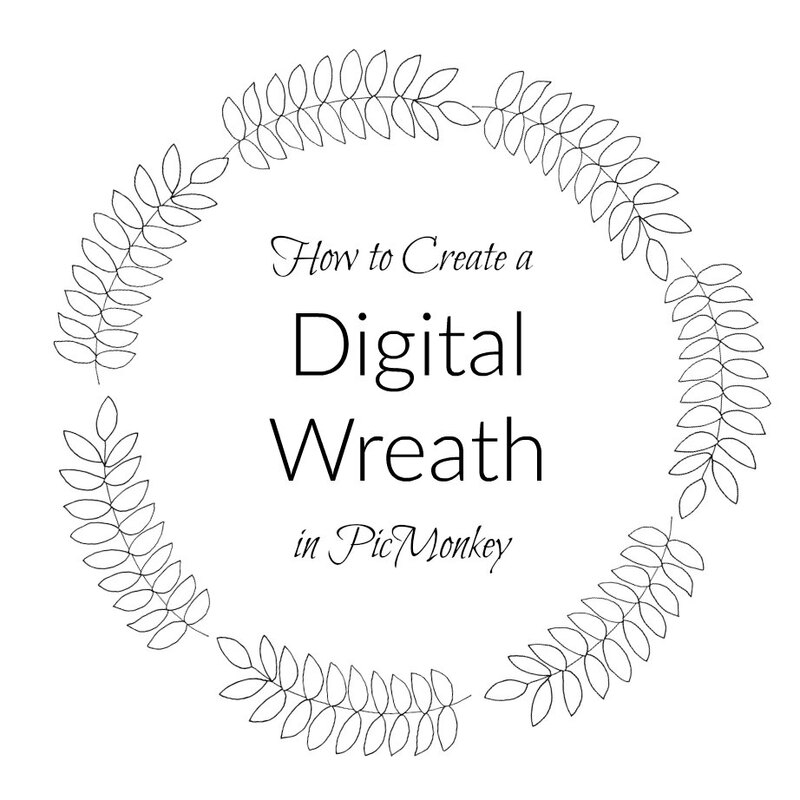 Since many of you are artists I wanted to share a little trick where you Create a Digital Wreath in PicMonkey. Even if you don’t consider yourself an ‘artist’, this is a fun way to save yourself loads of time. aka work. I drew this wreath when I first started working for The Graphics Fairy. If you look closely you’ll see that not a single stem is duplicated. Yep, I hand drew all of those stems in a somewhat circular shape. Actually, I drew about 12 wreaths or so. Now you know why I came up with a shortcut to create a digital wreath. Don’t let the word ‘digital’ scare you off. Honestly, I don’t even know why I called it that. They’re also called “frames” and “doodles” and a lot more misnomers, imo. The Graphics Fairy asked for frames and I had no idea what she meant until she sent an accompanying photo. Go ahead and throw those words into Etsy’s search box and you’ll see what I mean. Along with those words you’ll also see “digital”. Okay. The only thing you’ll need is a slightly curved stem of leaves. I’m pretty sure you can draw one but if you’re pretty sure that you can’t, go ahead and trace one. Nah, you can draw one. Just draw a slight “C” then add the leaves. Do NOT worry about the stem being perfect! Look again at the wreath I drew for TGF. Look closely. Not one is perfect! I lied, you need a something else – photo editing software. 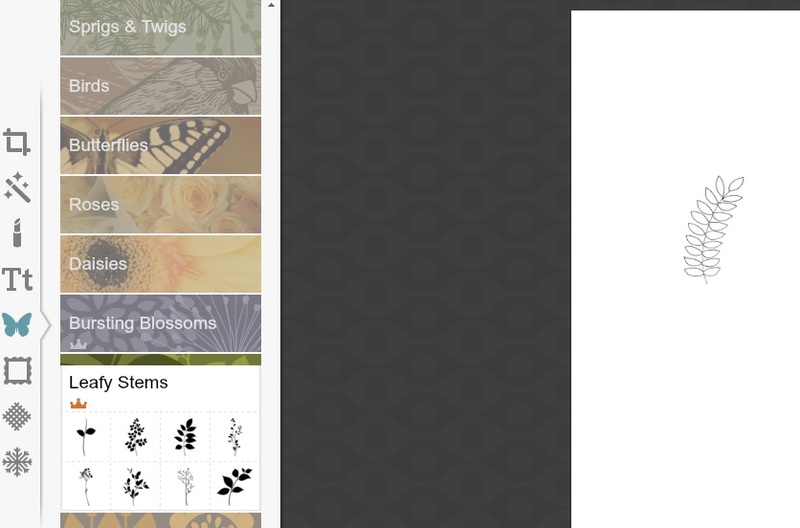 PicMonkey is free so I used it for this tutorial but I use Photoshop Elements for my designs. If you’re interested in learning basic Photoshop stuff, let me know in the comments. I was so intimidated by PSE for years but now I absolutely love it! 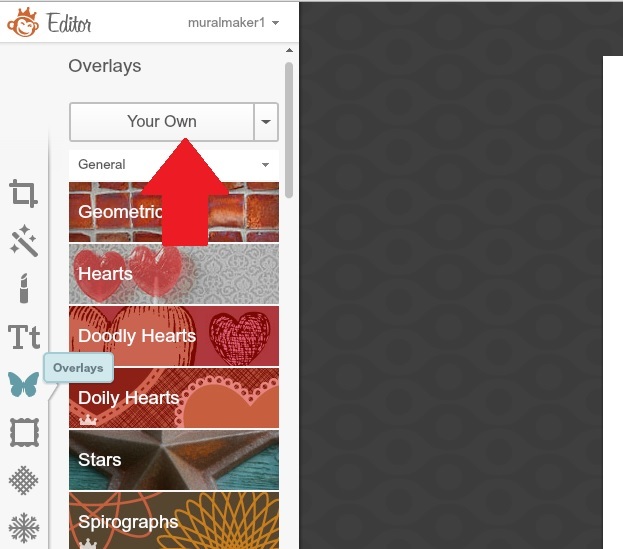 Step 1 – Go to PicMonkey.com and click on “Design” on the Home page. All of your edit options are in the left sidebar menu. 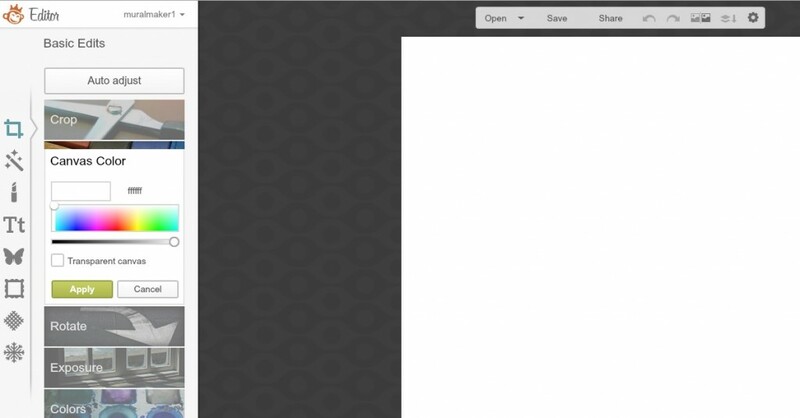 We’re going to leave this canvas (background) white, which is the default. All you need to do is click “apply” and you’ll have a large blank canvas. 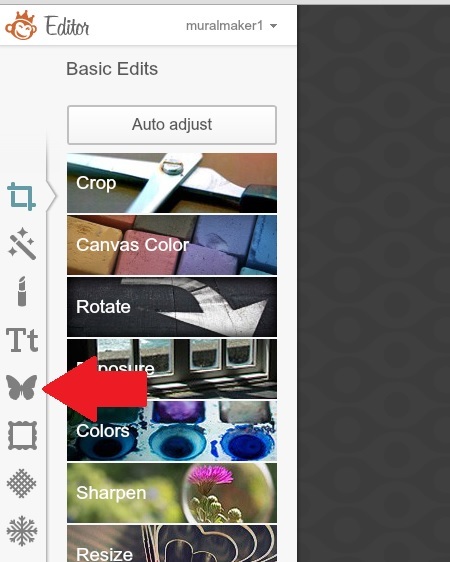 Step 3 – Click on the butterfly to open the Overlay menu. If you haven’t used PicMonkey before – or even if you have – you can have so much fun with all the overlays they have. But we want our unperfect stem we drew perfectly well. So click “your own”, find the stem where you saved it on your hard drive and open it. Now you have your imperfect perfect slightly curved stem on your white canvas. Don’t worry about the size of the stem yet. 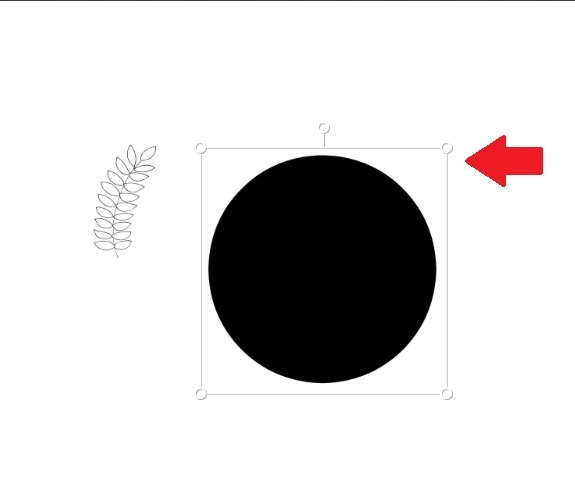 Trust me, there is absolutely no geometry in this tutorial. I have absolutely no idea how or why I passed that class but geometric concepts still elude me to this day. Other than basic shapes. 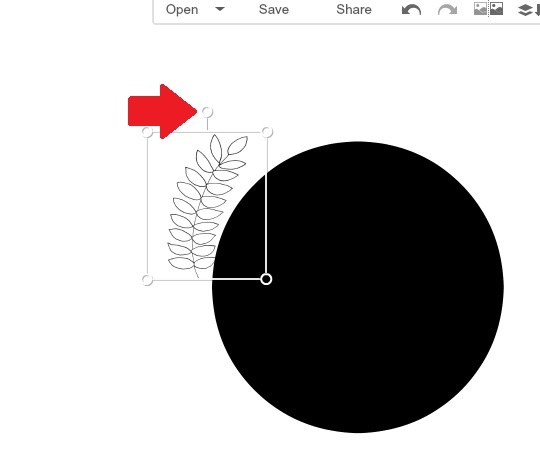 Like this circle that you’ll find under Geometric Shapes in Overlays. Each overlay will have a set of ‘handles’ when clicked on. In PicMonkey the circle will keep its alignment no matter which handle you grab. In other editing programs, be careful with this. Photoshop Elements will allow you to widen by grabbing the vertical bars and heighten with the horizontal bars. There is no specific size for the circle or stem. Unless you’re a mathematician. Which I am most definitely not. 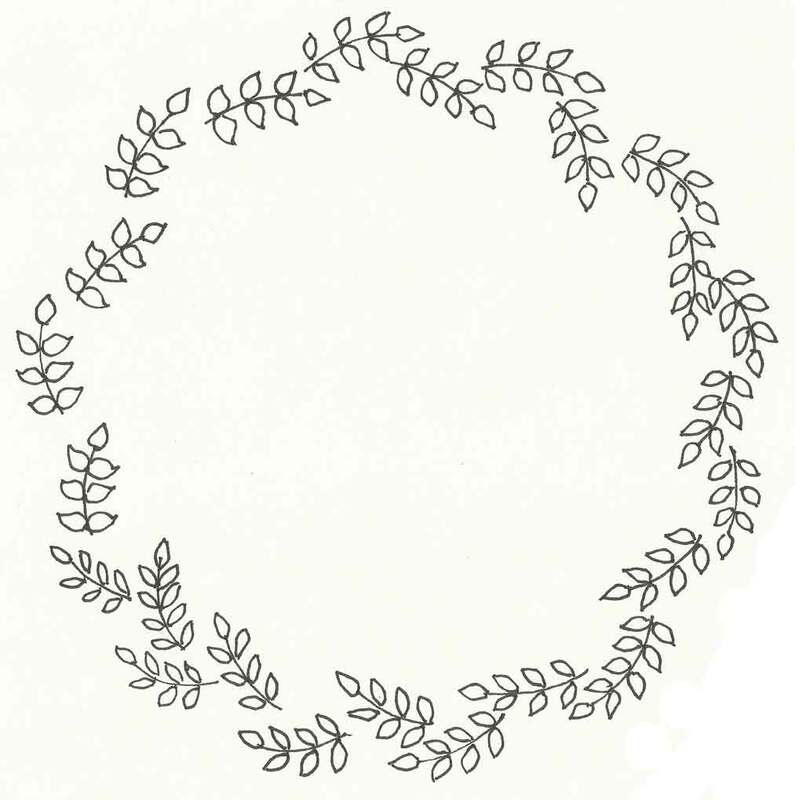 Now you’ll want to click on the stem and drag it over to your circle for the first part of your wreath. The 5th handle is the rotation arm that allows you to turn the stem. 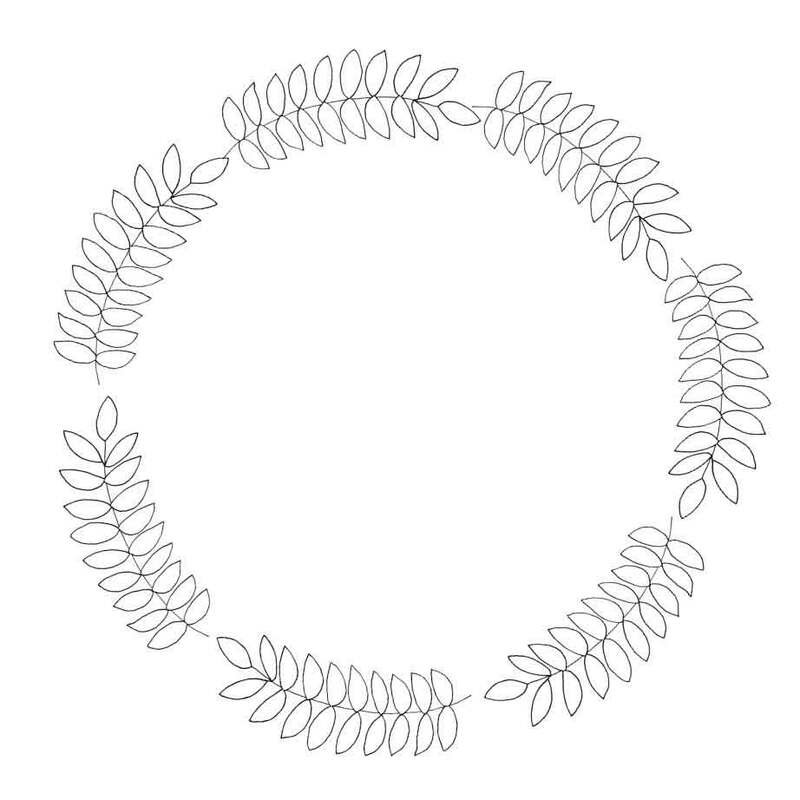 For this wreath you’ll want each edge of the stem roughly the same distance from the circle. 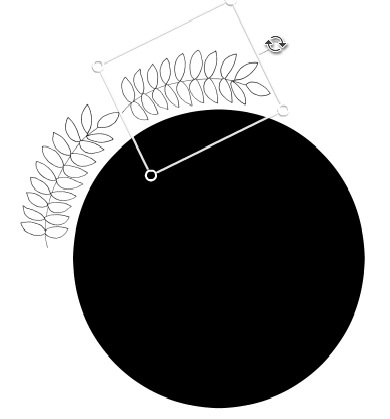 That means I’d grab the rotation handle and rotate the top leaf closer to the circle. 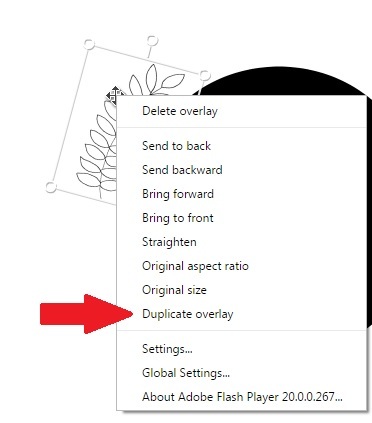 Now for the ‘magic’ – right-click on the stem so this pop up shows and click on “duplicate overlay”. The duplicate will ‘overlay’ the first step so you’ll want to grab it, move it into position on the circle and rotate the 5th handle. 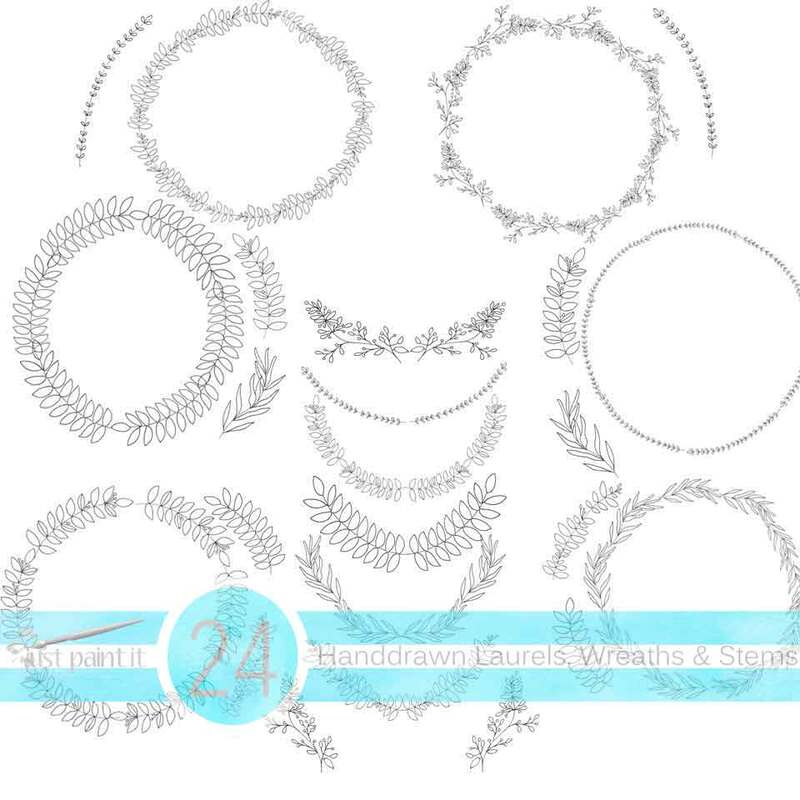 Repeat duplicate stems and rotating them until your wreath is complete. Then right-click on the guide circle and click “delete overlay” on the popup. Without the circle you can adjust the stems a little better but don’t go crazy trying to make it perfect. 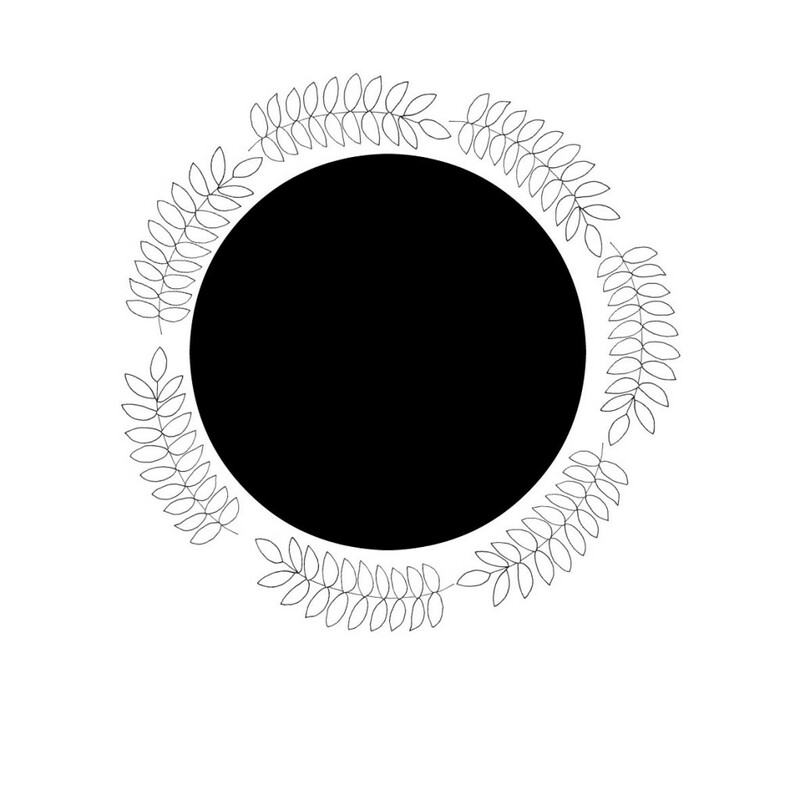 I drew a number of them before I used a guide circle so there are a few notsoround wreaths out there. Now you have a wreath or frame. Add a sweet phrase in the center. Or maybe a graphic. The options are amazing. If you want some more ideas check out this kit I just listed in my Etsy shop. You’ll be amazed at how many goodies you can make. And these are just doodles. Throw some paint on there and you can create all kinds of beautiful art and printables. What is your favorite photo editing program? Do you use one regularly or no?